The surge noted last week continued its hot streak, which should be expected as the selling season really gets rolling. The total number of pendings increased 6%, and those over $2,000,000 increased 24%! 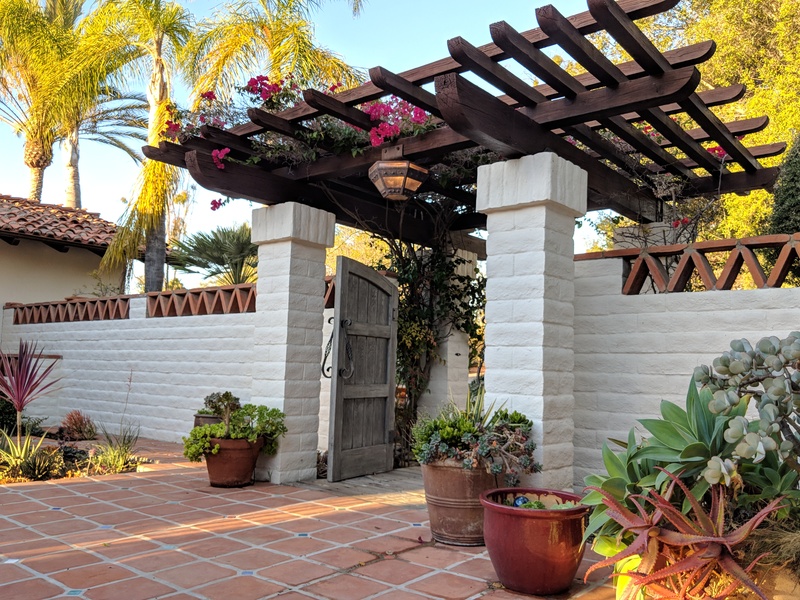 Glad to see the $2,000,000+ market having some life, with 462 active listings – or 54% of the total inventory of houses for sale between La Jolla and Carlsbad. What might contribute to buyers wanting to wait-and-see a bit longer is the lack of bidding wars. Instead of having to deal with the messy multiple-offer situations, agents who get a hot listing just sell it off-market now. Without bidding wars, we don’t have those disappointed losers who get more determined to grab the next one, and move quickly to pay whatever it takes. 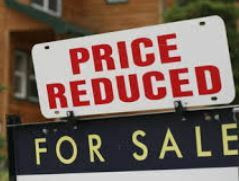 Price Reductions – How Much? Home sellers who have been on the market for 30 or more days and are tired of not selling may eventually consider a price reduction – but by how much? Buyers are willing to pay within 5% of the list price. 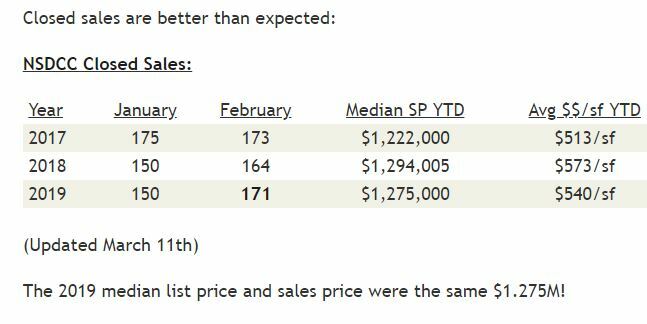 So if you are getting showings and offers, then the list price is about right. If you’re not getting offers, then the list price must be more than 5% wrong. Won’t buyers make an offer, even a low one? No – it’s too easy for buyers to stay on the fence while they wait-and-see, rather than make a low offer. In fact, we rarely see an offer that is lower than 5% below the list price because buyers would rather not bother – plus they don’t want to offend anyone. A proper price reduction re-ignites the urgency and enthusiasm in buyers, which makes them want to write a good offer. How much is needed to get buyers to engage? Lower the price by 5%. You see sellers lowering their price by 1% or less, but that’s not impressing the buyers – if anything, it reminds them that your price is still wrong because it still looks too much like the old price. Lowering the price by 5% not only re-engages the existing buyers who are considering your home, but it also picks up a new set of buyers who weren’t looking as high as your previous price. It may sound bold, but what else can a seller do to regain momentum? 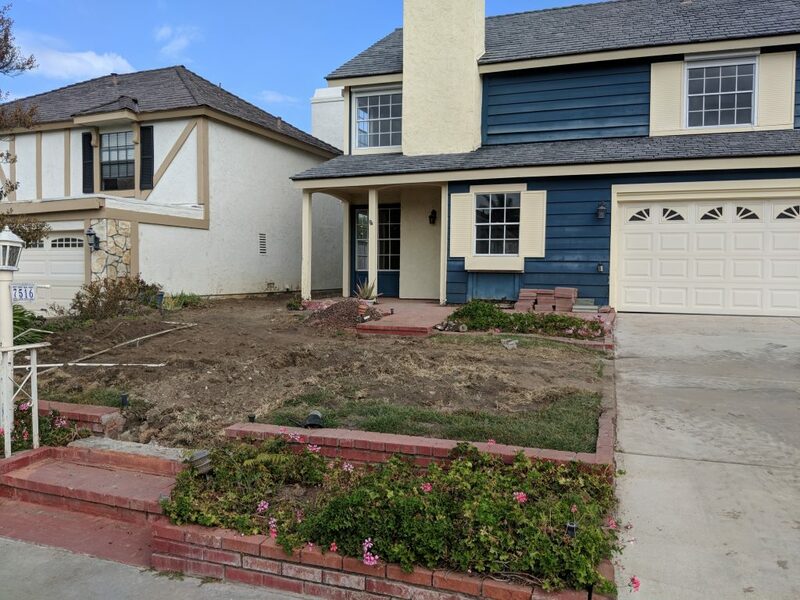 Two things: a) Complete repairs/improvements to bring the home’s value up, or b) cancel the listing and try again a few month later. How does your home compare to the active listings priced at 5% below their current price – are you winning that test? Is your house the best of that bunch? 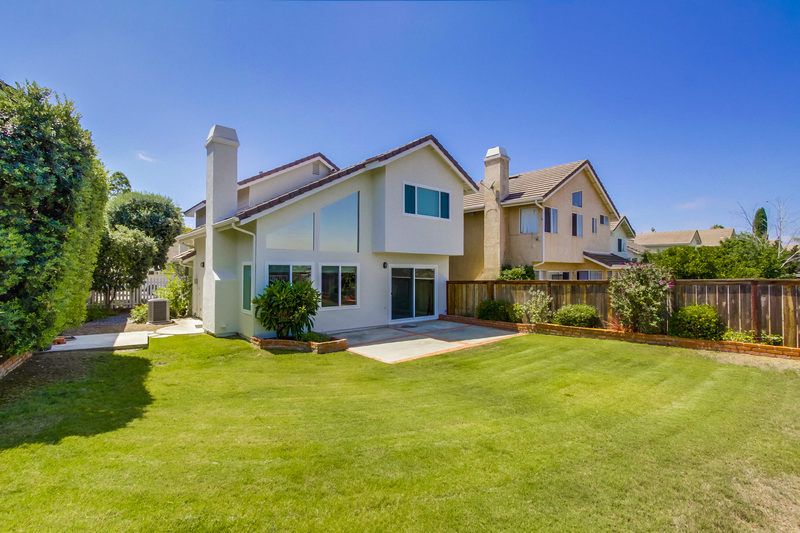 Find the group of active listings where your house is the obvious winner, and you’ll know the price that will work. If 5% sounds like too much, and waiting longer for that perfect couple with 2.2 kids to come along is easier to swallow, then no problem. It could happen. But if you’re tired of waiting and will consider a price reduction, then 5% is the recommended amount – which isn’t giving it away. It’s just recognizing that the initial list price was too optimistic, and a more-realistic price is needed. Smaller reductions won’t cause buyers into doing anything different than they’ve been doing – waiting for a fair price/value for today’s market. Just when you thought the days of feeding squirrels were over….. Wait until autonomous vehicles add another ten years. Seniors be able to stay in their home longer. Homebuyers could live farther away and get more home for their money. Kids wouldn’t need parents driving them around. But one of the big hurdles is whether people will trust computers to drive the cars for them. You may know that Mercedes-Benz has installed automatic braking systems, and I have one on my car – and hate it. When I drive up slowly at an intersection, the computer is overly-sensitive, and brakes too early – and it’s not gentle. With no warning, the computer slams the brakes on, giving riders a whiplash, and in one case, causing the driver behind to hit me! The system has a manual turn-off button, but it’s hard to find and not permanent so it’s a constant battle. Donna agreed that I’ve altered my driving considerably, but I’m giving up. I’m going to get a normal car instead. Have you seen homes going pending that weren’t selling a few months ago? You could make a case that the market is somewhat seasonal, and just the increase in the number of buyers would improve the market. But junk is junk, whether you’ve been looking for days or months. We already discussed how sellers of newly-listed homes are bursting with optimism now that the selling season is underway. But those sellers who have been lingering for weeks or months have already tested the market, and should be more realistic. My theory is that some buyers are cutting deals on the older listings. A contingent buyer around $2 million getting beat out twice to non-contingent buyers. It is remarkable that in 2019, realtors still don’t have rules, laws, procedures, or any effective guidance on how to handle a bidding war so the sellers get the best deal while giving every buyer a fair chance to compete. We ended up with three offers on our Gladstone listing, and a bidding war! 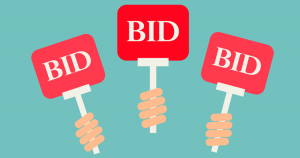 Bidding wars don’t just happen; somebody has to spur them on, coordinate them effectively, and keep the focus on winning and losing, and not the price. The home had its foibles too. It only has two bedrooms, the third ‘bedroom’ is unpermitted, the kitchen and bathrooms were gussied up but mostly original, and it backs to the full assortment of power lines. The worst part was not having any recent comps that painted a solid picture on value, leaving it up to the buyers to get comfortable – I helped, and thankfully they had good agents too. 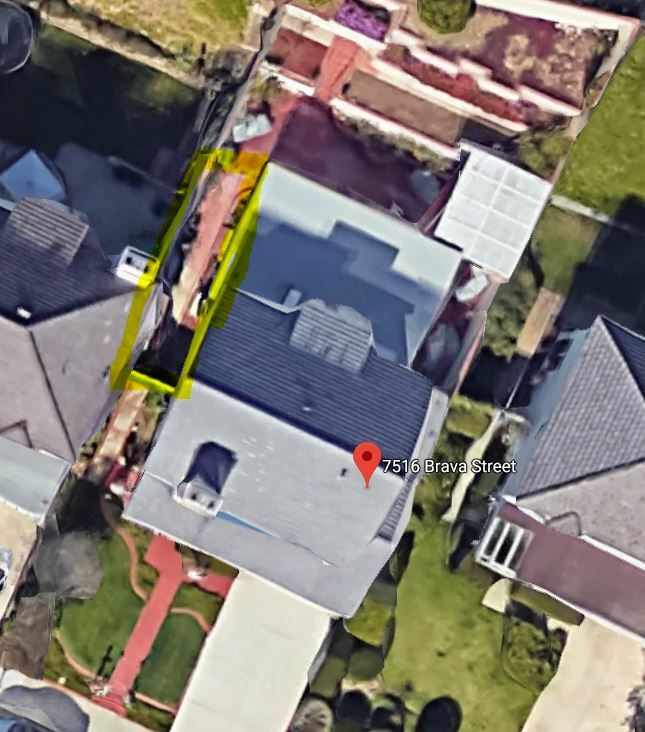 We are listed for $499,000, and I nudged two offers north of $530,000! If you are thinking of selling, hire me! A bidding war recently broke out over a prime piece of California real estate — and it wasn’t for a tiny San Francisco condo. 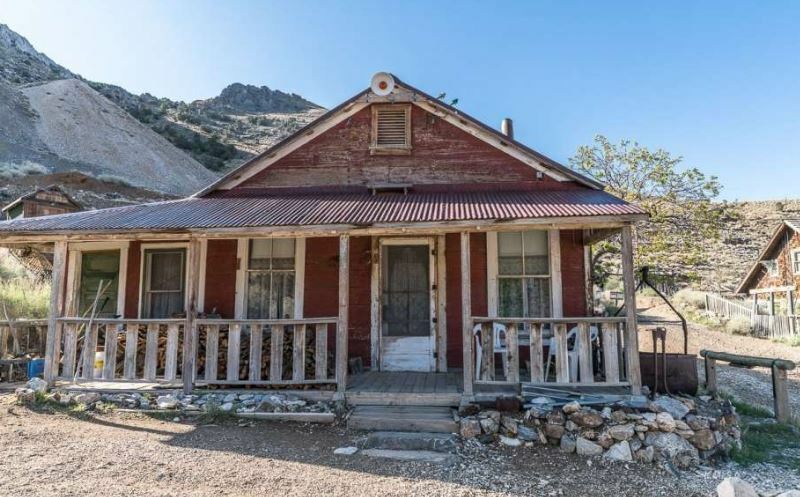 In this case, a dozen offers were made for an entire town, the 19th-century mining hub of Cerro Gordo, on 300 acres in the Inyo Mountains outside Lone Pine, Calif. It was listed for for $925,000 in June and closed on Friday the 13th for $1.4 million. The seller accepted an offer from a group of Los Angeles investors who plan to preserve the relic of the American West and keep it open to the public. “We did have higher offers, however the sellers really liked the buyers’ proposal and liked the buyers’ plan,” says Rasmuson. Cerro Gordo has been in the hands of the same family for decades, and though privately owned, it was open to the public for tours. The owners were hoping to sell to someone who appreciates the property’s history. The buyers are Brent Underwood, who founded the youth hostel HK Austin and Jon Bier, who runs a public relations firm catering to athletes. The two teamed up with other investors to make the purchase; they include Ryan Holiday, former director of marketing at American Apparel; Tero Isokauppila, CEO/founder of superfood company Four Sigmatic; Brendan Gahan, CEO/founder of Epic Signal; George Rutolo, owner of The Whisky Bars; and Kelley Mooney, an en executive at Hulu. He adds that they also hope to eventually add overnight accommodations and events such as writing retreats, concerts, photo shoots, theater and more. Silver was first discovered in the hills of Cerro Gordo in 1865, and in the following years prospectors flocked to its rich veins of silver. It became known as the “silver thread” to Los Angeles and silver was loaded onto mule trains and taken to the city. The town population swelled to some 5,000 at its height and quickly dwindled when silver prices dropped in 1877. “We want to create a place that pays tribute to this historic part of American history,” Underwood says. Choosing the right realtor to sell your home is critical. It’s not life-or-death critical. We’re just talking about the extra 5% to 10% that is available when effective marketing creates maximum urgency – and the agent’s skills and salesmanship creates competition between buyers to achieve a top dollar sale. I conduct a thorough pre-listing inspection to determine the best improvements to make prior to hitting the market. Repairing the visual dings, doing ‘clutter patrol’, and implementing any staging where needed to maximize the appeal to buyers. I focus on bang-for-the buck; spending as little as possible with max results. I recommend an attractive price – one that is retail-based for the location and condition, and makes the buyers feel like it’s worth checking out. 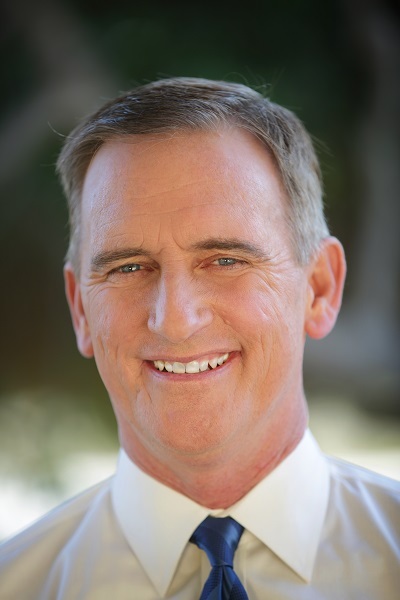 I have professional photos done and include my own video tour to help sell the buyers on the value of the home, instead of playing elevator music. I won’t include a Matterport 3D tour, which is the worst thing any agent could do for you. The buyers can view every nook and cranny in the house, so they keep looking until they find something they don’t like – and then give up. The goal of marketing is to get the consumer interested enough to jump in the car and check it out in person. Inquiries – I handle all inquiries myself, and I answer my own phone. My focus is to gauge the interest of the buyer or agent, and help to sell them on the house. 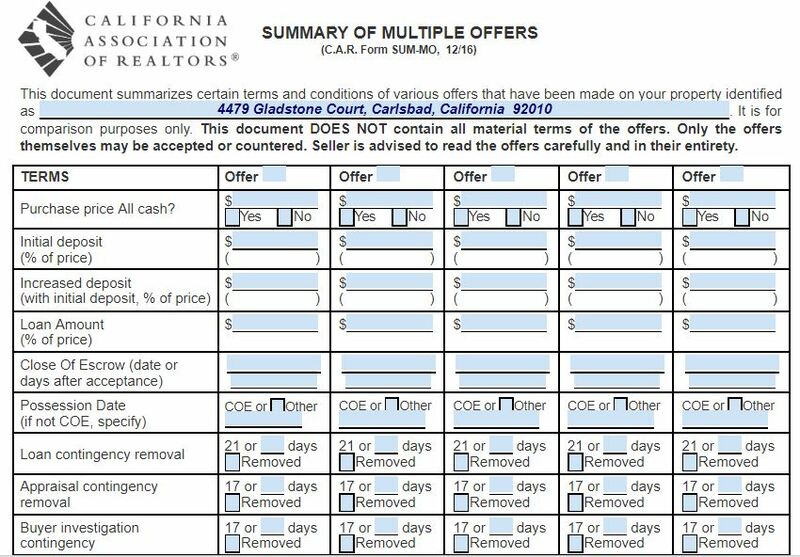 Redfin and most big agent teams have showing requests handled by a separate and unrelated third-party called Showing Suite, and they miss out on a critical opportunity to pick up intel about the interested parties that I use later in the negotiations and bidding war. I conduct the open house extravaganza myself. We effectively advertise and have 25-100 people attend every open house. The crowds help to create the Fear of Loss; where interested parties realize they better step up quickly and pay more than they thought so they don’t lose it. Nobody does open house like I do. Once offers are pouring in, I qualify both the buyers and agents myself. Other agents can get swept away by sappy love letters, or by all-cash buyers and not give due diligence to every offer, or ignore the buyer’s agent and their critical role in getting to the finish line. Virtually all agents will ask for highest-and-best offers, and then help the seller to pick their favorite. It feels exciting, and all can say they played the game. But I create an auction-like competition where buyers participate in the final outcome, rather than passively hope their blind bid is enough. 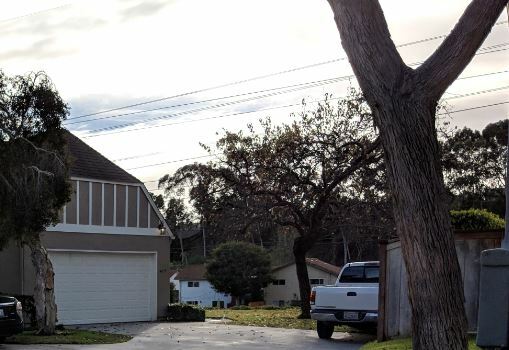 It takes aggressive salesmanship to accomplish this, and it’s where I pay for myself with a specific strategy to achieve a top-dollar sale (I am registered as an auctioneer with the State of California). Donna has been our troubleshooter-in-chief for the last twenty years, and is our secret weapon. She bird-dogs every sale to the finish line and beyond, and as a result, we rarely have an escrow fall out. Our clients feel informed and well-served, with every detail covered in advance. My last thirty listings have averaged an SP:LP ratio of 99% (selling within 1% of list price), with an average of 20 days on market – and half of them sold in ten days or less. Commissions are described HERE, and you’re only paying a little more than Redfin to get the maximum service available. I am happy to give you a free consultation in person, or by phone or email! Real estate brokers may, unless prohibited by law or regulation, “shop” offers. Therefore, REALTORS® assisting purchasers in formulating purchase offers should advise those purchasers it is possible that the existence, terms, and conditions of any offer they make may be disclosed to other purchasers by sellers or by sellers’ representatives except where such disclosure is prohibited by law or regulation. Competing buyers are more likely to respond favorably if you give them a number to shoot at. 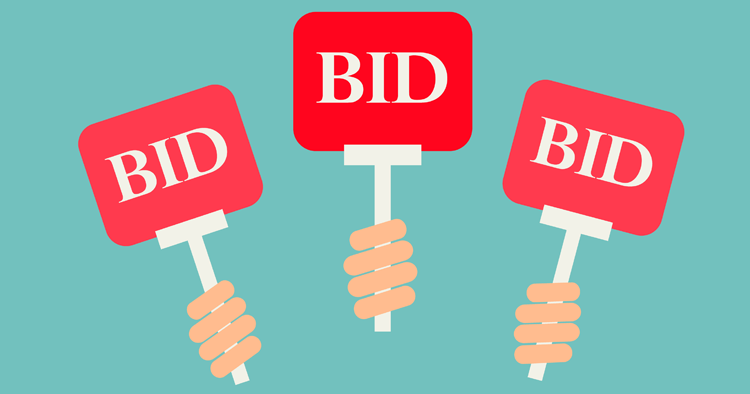 Sharing the price and terms of other offers is a way to create a slow-motion auction effect, which benefits both sides. Buyers gain some transparency, and sellers get top dollar.